Just two years apart for most of the year, sisters Hanah Moore and Hailee Nixon may look and sound like budding country music artists, and they are. 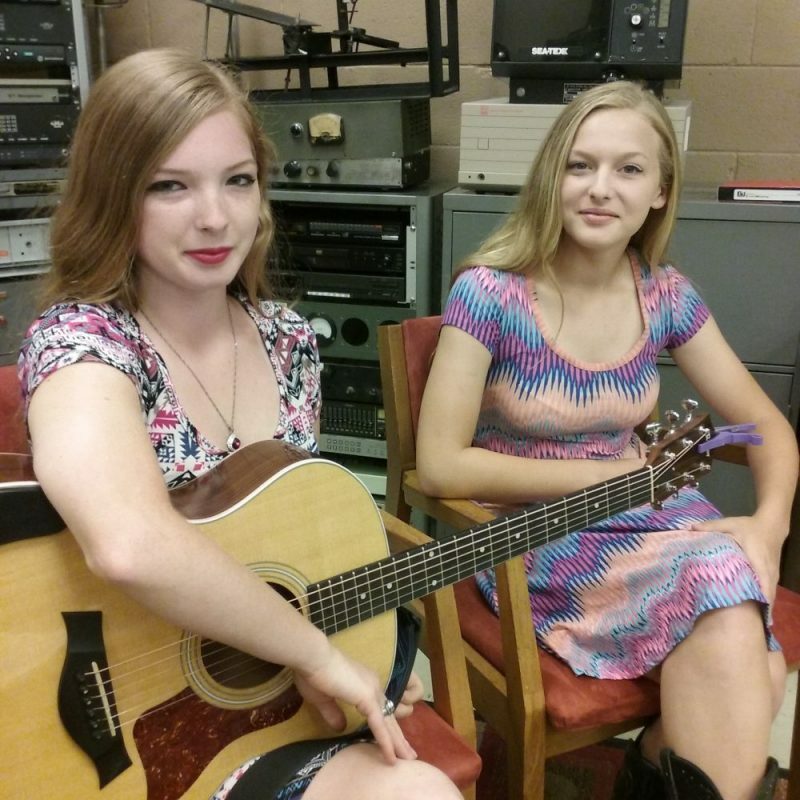 But thanks to their Nana, they are miles ahead of other small-town singers their age. They already have two years experience on the family “summer tours”, with bookings from South Texas to Amarillo and from Nashville to California. And that’s not to mention the many appearances they make close to home in towns surrounding Winnsboro at festivals, pageants, benefits and oprys. Their interest in music is a full-time endeavor, as they spend most of their free time in some phase of music from co-writing original songs , arranging harmonies and learning popular music. The sisters plan to go to the same college after high school to study Music Industry and Business to round out their interests. This September, they will make their first trek to the Josie Awards stage at Nissan Stadium in Nashville for the red-carpet reception that precedes the awards show. The duo is nominated in three different country categories. Despite their busy school and music schedules, we carved out a few minutes to chat just prior to the Nashville trip, and this Saturday’s return to the Reilly Springs Jamboree stage where they began their performing careers eight years ago.